Isn’t it crazy how the more sugar you eat, the more sugar you WANT to eat! This happened to me recently. It started innocent enough. I had a treat one day, “because I deserve it”. Then, the next day it turned into two. Until a few days later, I found myself scouring my cupboard for sugar! So, one day- I decided to try sugar free for a day. After a day, that mad craving had weakened significantly! 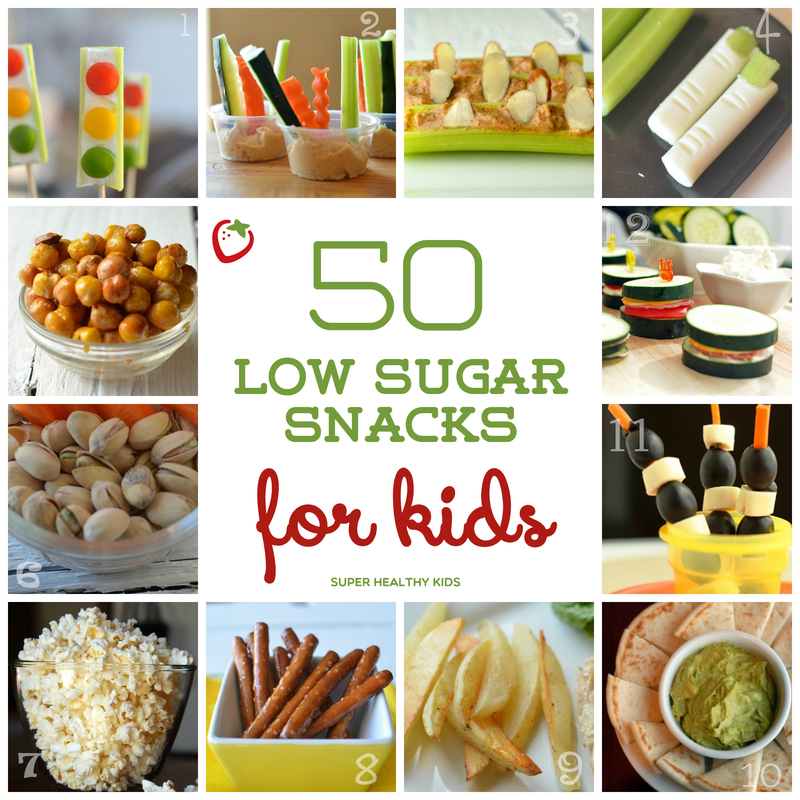 Finding low sugar snacks for kids can be easy and still be delicious. If you keep this list (print it here), you’ll always have something ready to feed your little ones. Most of the pictures & ideas for these snacks I got from our meal plans and old blog posts. 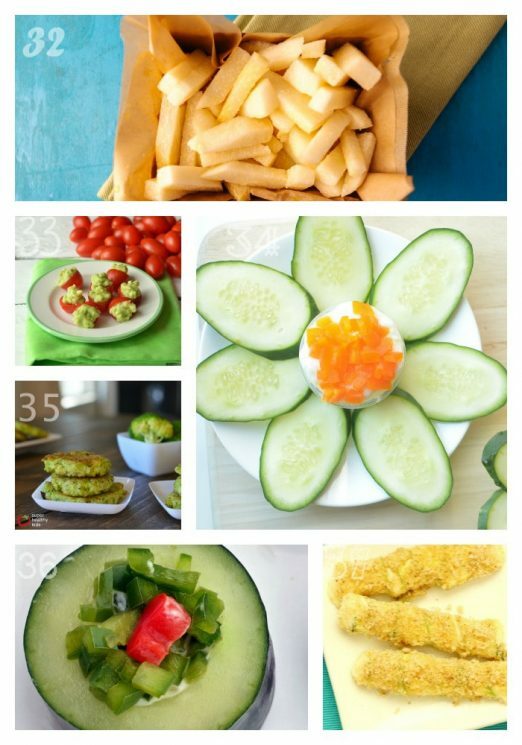 With proper kitchen tools, kids can help make these snacks! 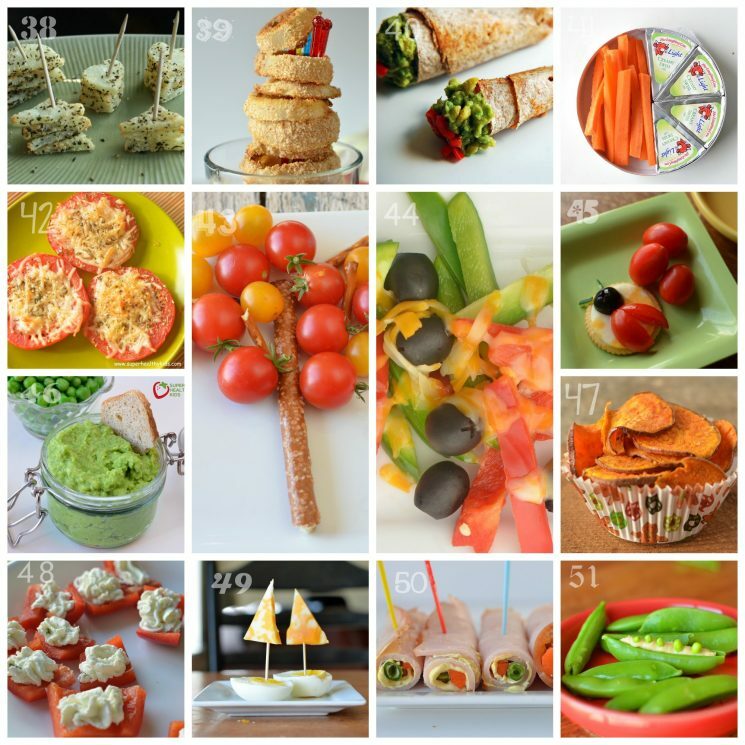 Right now we have over 866 snack recipes (and over 3000 total recipes) for healthy meal ideas. I gathered together all the snacks that my kids like to eat, and even added the grams of sugar next to them! This is for an average serving of course, and some may be dependent on the brand you use. For example, my bread is 1 gram of sugar per slice, but if you purchase a brand with 3 grams of sugar, obviously your total will be a bit different. So, here you go! 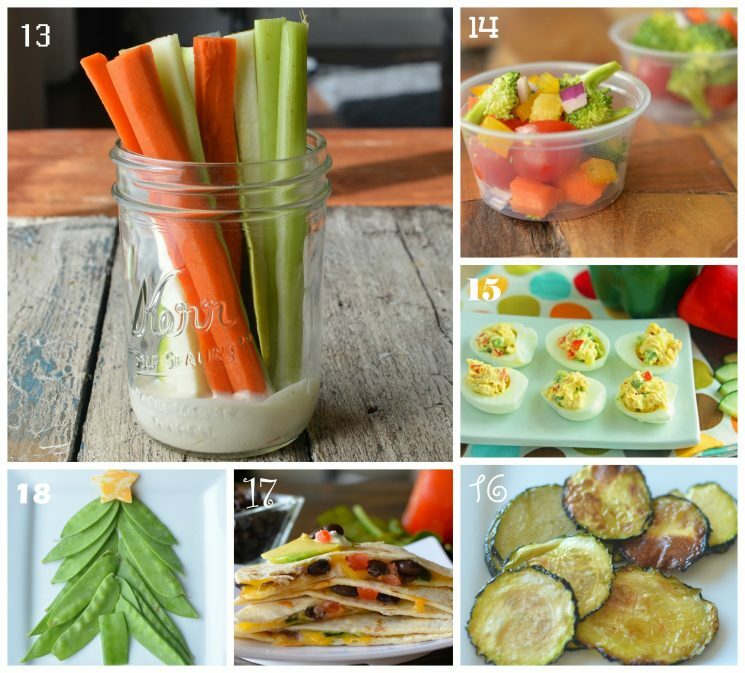 Our best list of sugar free and low sugar snack ideas! Yogurt cheese and cucumbers Ummm.. this one is a mistake- when I calculated it, it ended up being 9 grams of sugar per serving. So, I added an extra one at the end, so you still have 50!! Pretty good list- you can have a new snack every day for the next 6 weeks. Would you add any? What low-sugar snacks do your kids like? These are awesome. Fun, pretty, colorful. I will probably put some in my husband’s lunch! I especially love those cheese and hard-boiled egg sailboats! So cute. Hi thank you for some wonderful new ideas. Which recipe is the one that looks like a traffic light? Couldn’t figure it out. My twins are 19 months old. They still don’t eat that much complex foods. They will pick out what they like and/or can easily recognize when I mix a few things together. What age range are right for these snacks above? 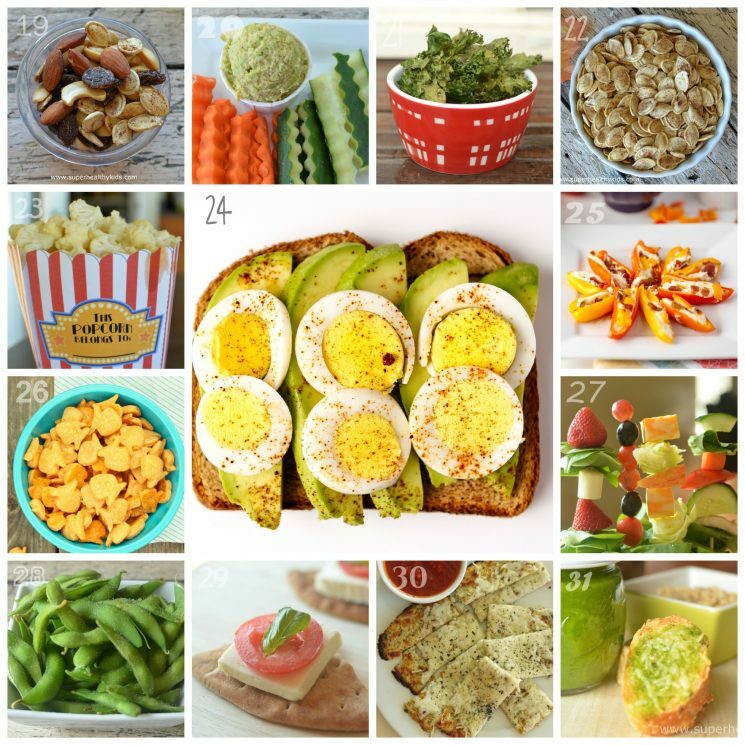 For 18-24 months, do you have a snack guide? And should it differ? 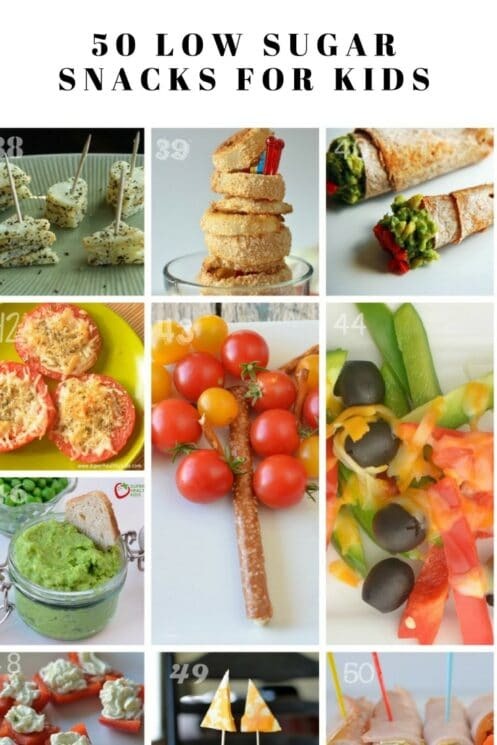 Thanks for the great snack ideas with the cute pictures and recipe descriptions. I printed the Cheesy Zucchini Sticks and Cauliflower Dipper recipes to try with my family, as we love anything cheesy. Thanks so much for being such a great resource for healthy families! Thanks Lindsay! Love your snack bags!